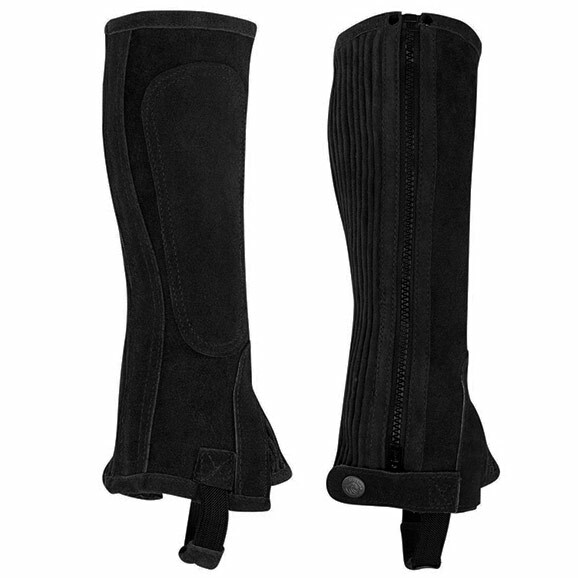 Does your young rider need a new pair of half chaps for lessons or pony camp? Perri’s Children’s Zipper Half Chaps are a best seller for Perri’s Leather and kids everywhere love them. They give a sleek and professional look due to the combination of their suede cowhide material and stretch panels. These suede half chaps are as close to custom as you can get without actually going custom (and certainly without the custom price).